While the LiveShot Video IP Codec is designed to operate well when connected to the Internet via one or two 4G modems, a 4G network is not always available. 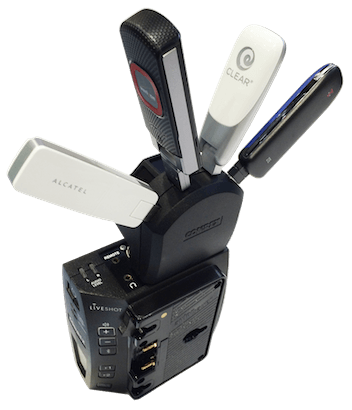 When faced with a challenging 3G-only environment, the new LiveShot Hub will provide connections for up to four USB devices. This provides additional 3G bandwidth and, because of LiveShot’s advanced dynamic bonding capabilities, the Hub also provides modem redundancy – as the camera moves, LiveShot will constantly adjust the amount of contribution from each modem. 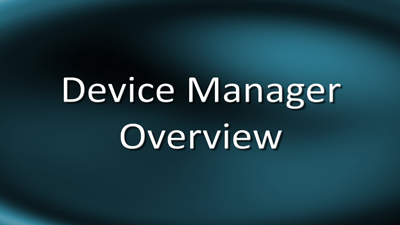 Beyond 4G and 3G cellular connections, LiveShot can utilize many other types of networks. 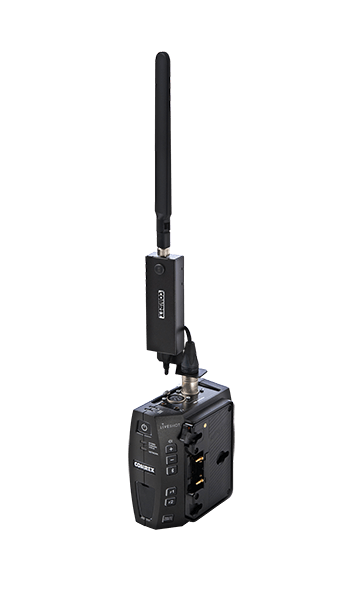 For instance, typical 2.4GHz and 5.0GHz Wi-Fi networks can be accessed via USB devices while 5.8GHz wireless radio networks, new mobile MIMO networks and satellite up-links are available via LiveShot’s RJ-45 port for the harshest environments. Of course, you can also use a wired LAN connection when available. 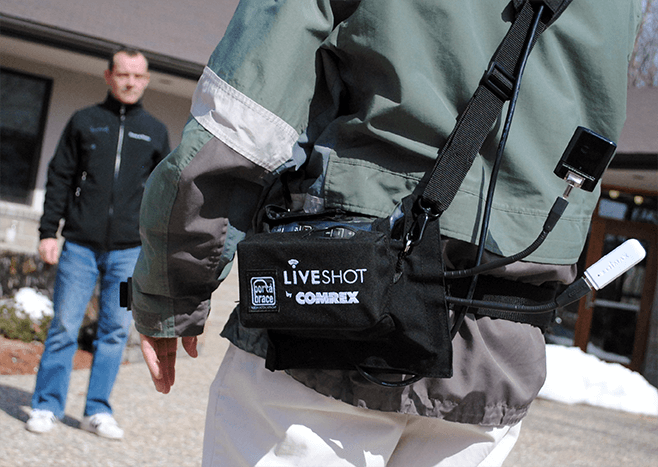 With this in mind, Comrex has developed LiveShot Connect and ACCESS Connect – Pro-grade, high performance cellular data modems. 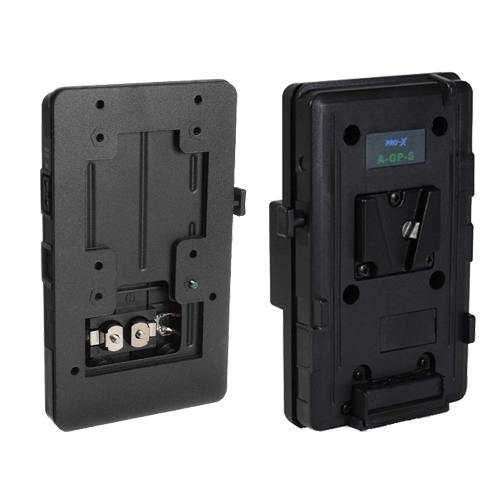 To ensure that Comrex customers experience the highest degree of broadcast reliable data transmission, each device comes in a ruggedized, industrial case with a carrier-certified, high gain antenna (2.1 dBi) and sturdy, customized mounting hardware for either the LiveShot Portable IP Video codec or the ACCESS 2USB Portable IP Audio codec. LiveShot Connect includes custom mounting hardware that easily connects into the LiveShot Portable’s 4-pin female XLR connector. 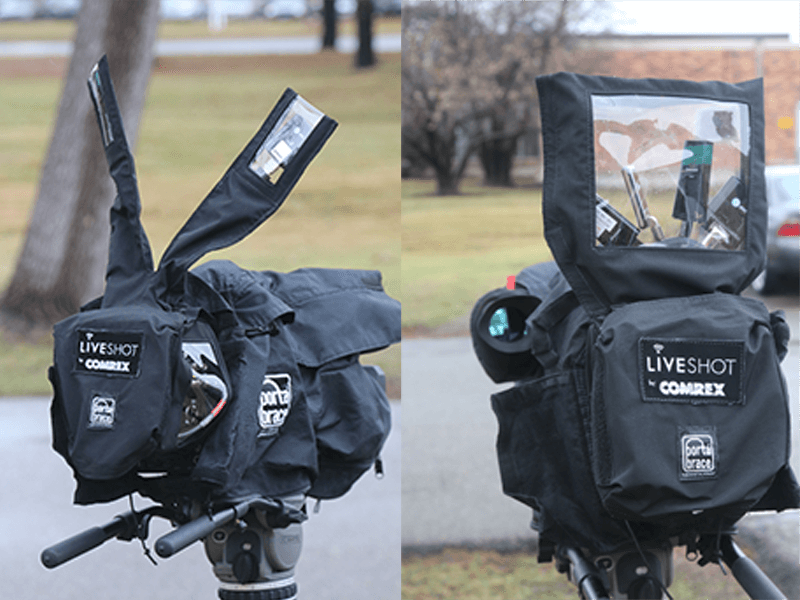 LiveShot Connect will fit into LiveShot Rain cover sleeves for extra security and protection from the elements. Designed for Comrex by Porta Brace to keep your LiveShot Portable secure while on the move. Velcroed cover protects attached Gold Mount style battery. Comes with padded shoulder strap and adjustable waist belt. Great for use with cameras that don’t use AB or V-mount batteries. The Comrex LiveShot Rain Cover by Porta Brace is a “must have” to protect your LiveShot portable when out in the elements. The weather resistant cover features Velcro fasteners which easily attach to existing Porta Brace camera body armor for complete protection of your camera, LiveShot and battery. An elastic drawstring keeps the LiveShot Rain Cover secure to the camera body while clear vinyl windows allow for complete visibility of LiveShot controls and indicators. For use with V-Mount cameras and batteries.